The stock market has been one of the main modes of investment for Kenyans over the years. Wealthy investors pumped in money to the stock market to buy shares of reputed companies and then wait till those shares went up before selling. Things have changed in recent times as a new Capital Markets Authority (CMA) survey showed that investors are not investing like before because they have decided to take their money to the sports betting market. The main reason behind Kenyan investors switching over towards sports betting is because the results are a lot faster than traditional investing. 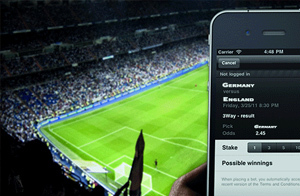 Sports betting has flourished all over the country, especially in the capital of Nairobi. There are sports betting shops as well as online sportsbooks that offer Kenya bettors a great variety of sports bets. The boom of the sports betting industry in Kenya has resulted in as many as 10 new sports betting firms setting up operations in the last 24 months. The success of the sports betting industry has indirectly impacted the success of the financial markets in the country. The CMA has a ten year master plan to increase the number of listed companies by the end of 2023. The plan was launched in 2013 and the goal was to have 19 firms by 2017 and 39 firms by 2023. The numbers have been rather dismal as only 5 firms have so far been listed. The government recently launched a crackdown on sports betting operators who were allegedly operating illegally in the country. CMA is working on a new strategy to address these issues and see if it can increase the number of newly listed firms in the next 5 years.